The Mohawk Nation at Akwesasne (French: Nation Mohawk à Akwesasne) (alternate spelling Ahkwesáhsne) is a Mohawk Nation (Kanien'kehá:ka) territory that straddles the intersection of international (United States and Canada) borders and provincial (Ontario and Quebec) boundaries on both banks of the St. Lawrence River. Most of the land and population are in what is otherwise the present-day United States. Although divided by an international border, the residents consider themselves to be one community. They maintain separate police forces due to jurisdictional issues and national laws. The community was founded in the mid-18th century by Mohawk families from Kahnawake (also known as Caughnawaga), a Catholic Mohawk village that developed south of Montreal along the St. Lawrence River. Today Akwesasne has a total of 12,000 residents, with the largest population and land area of any Kanien'kehá:ka community. From its development in the mid-eighteenth century, Akwesasne was considered one of the Seven Nations of Canada. It is one of several Kanien'kehá:ka (Mohawk), meaning "people of the flint" in Mohawk, territories within present-day Canada; others are Kahnawake, Wahta, Tyendinaga, Kanesatake, and the Six Nations of the Grand River First Nation (which includes several subdivisions of Mohawk, the other five nations of the Iroquois League, and some other Native American tribes), founded after the American Revolutionary War. With settlement of the border between Canada and the United States in the early 19th century, a larger portion of the territory was defined as being within the United States. 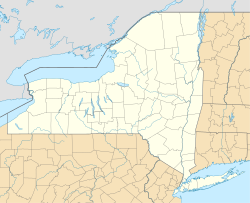 The portion in New York state is known as the federally recognized St. Regis Mohawk Reservation. The portion in Ontario is referred to as Akwesasne Reserve No. 59, and the portion in Quebec as Akwesasne Reserve. The name Akwesasne in Mohawk means "Land Where the Partridge Drums", referring to the rich wildlife in the area. Akwesasne territory incorporates part of the St. Lawrence River, the mouths of the Raquette and St. Regis rivers, and a number of islands in these three rivers. The eastern border of the southern portion is formed by the St. Regis River. The territory is divided between north/south by the Canada–United States border. 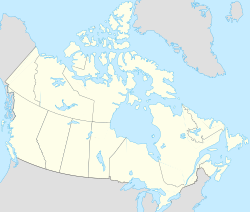 The northern portion is further divided by the Canadian provincial boundary between Ontario to the west and Quebec to the east. The Three Nations Crossing connects Kawehno:ke (Cornwall Island, Ontario) to the City of Cornwall in the north and Rooseveltown, New York in the south. 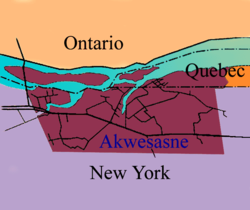 Because of the St. Lawrence River to the north and New York State, USA to the south, the Quebec portion of the Akwesasne reserve is an exclave claimed by Canada. To travel by land from Tsi Snaihne (Snye or Chenail, Quebec) or Kana:takon (Saint Regis, Quebec) to elsewhere in Canada, one must drive through New York State. 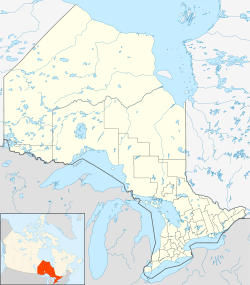 In Canada, the territory within Ontario is called the Akwesasne 59 Indian Reserve, and the territory within Quebec is called the Akwesasne Indian Reserve. In the U.S. state of New York, the territory of Akwesasne coincides with what is called the federally recognized St. Regis Mohawk Reservation. This portion of Akwesasne is bisected by New York State Route 37. This major state highway in the North Country of New York, extends for 127.40 miles (205.03 km) on an east-west axis. Beginning about 1000 AD, nomadic indigenous people around the Great Lakes began adopting the cultivation of maize. By the 14th century, Iroquoian-speaking peoples, later called the St. Lawrence Iroquoians, had created fortified villages along the fertile valley of what is now called the St. Lawrence River. Among their villages were Stadacona and Hochelaga, visited in 1535-1536 by French explorer Jacques Cartier. While they shared certain culture with other Iroquoian groups, they were a distinctly separate people and spoke a branch of Iroquoian called Laurentian. But by the time Samuel de Champlain explored the same area 75 years later in the early 1600s, the villages had disappeared. Historians theorize that the stronger Mohawk from the South waged war against the St. Lawrence Iroquoians to get control of the fur trade and hunting along the river valley. By 1600, the Mohawk used the valley for hunting grounds and as a path for war parties. In the early 17th century, some Christian Iroquois (primarily Mohawk, but also some Oneida, Onondaga, Cayuga and Seneca) migrated from present-day New York to Kahnawake (formerly known as Caughnawaga, after their village along the Mohawk River), a Catholic mission village established by French Jesuits south of Montreal. Kahnawake is a Kanien'kehá:ka (Mohawk) word meaning "at the rapids". Here, additional First Nations joined the community, converting to Roman Catholicism; the Mohawk dominated in number. During the colonial years, this community participated in the fur trade. Some men regularly traveled to Albany, New York for better prices from the English and Dutch than the French were willing to give. In addition, warriors and families became involved in raiding and the traffic in captives during Queen Anne's War in the early 1700s between France and England. French and First Nations allies, including the Abenaki, would bring captives back to Kahnawake from New England settlements, often to be ransomed. Younger English children and women were sometimes adopted by Mohawk families and assimilated into the tribe. Due to exhaustion of land at Kahnawake and problems with traders' rum at the village, in the mid-1750s about 30 families migrated upriver about 20 leagues to set up a new community. Among the leaders were brothers and chiefs John and Zachariah Tarbell. Father Pierre-Robert-Jean-Baptiste Billiard accompanied the migrants as their priest. French officials supported the move, paying for a sawmill at the new mission. With tensions rising prior to the Seven Years' War (also known in North America as the French and Indian War), the French wanted to keep the Mohawk as allies, and away from English influence. The Tarbell brothers were born to English colonists in Groton, Massachusetts. They had been taken captive as children in 1707 along with their older sister Sarah, then 14, during Queen Anne's War. John and Zachariah were 12 and 8, respectively. The three children were taken by the French and Abenaki raiders some 300 miles to Montreal. They all became Catholic and were renamed. Sarah/Marguerite was redeemed by a French couple and entered the Congregation of Notre Dame, a teaching order founded in Montreal by French women in 1653. Adopted by Mohawk families in Kahnawake, the two boys became thoroughly assimilated: learning the language and ways, and being given Mohawk names. They later each married daughters of chiefs and reared their children as Mohawk. They each became chiefs, and some of their sons also became chiefs. They were examples of the multi-cultural community of the Mohawk, who absorbed numerous captives into their tribe. Starting in 1755, French-Canadian Jesuit priests founded the St. Regis Mission at Akwesasne. The Tarbell brothers were listed among the founding chiefs, representing numerous clans as of 1759, in papers of Loran Kanonsase Pyke, the patriarch of Akwesasne's Pyke family. The Jesuits first built a log and bark church at the mission, then a more formal log church. In 1795 the Mohawk completed construction of a stone church, which still stands. Named after the French priest St. Jean-François Regis, the mission was the source of the French name of the adjacent Saint Regis River, an island in the St. Lawrence River, and the nearby village. The church was long a landmark to ships on the river approaching the rapids. In New York, the name was later adopted to apply to the Saint Regis Mohawk Reservation. The villagers have since renamed their community Kana:takon ("the village", in Mohawk). After victory in the Seven Years' War, the British took over Canada and New France east of the Mississippi River. They allowed the Kanien'kehá:ka to continue to have Catholic priests at their mission. The Jesuits helped preserve Mohawk culture, translating the Bible and liturgy into Mohawk. They observed Mohawk customs, for instance, refusing to marry individuals who belonged to the same clan. Through the 18th and 19th centuries, they maintained parish registers that recorded the Mohawk names of individuals for life events, even when the people had taken European names as well. At the time of the American Revolutionary War, the Mohawk, Onondaga, Seneca and Cayuga were allied with the British against the rebel American colonists. Forced to cede most of their remaining lands in New York to the new government after the colonists' victory, many of the Iroquois people migrated to Canada, where many settled at the Six Nations of the Grand River First Nation. Some Mohawk joined the growing community at Akwesasne. Under the Jay Treaty, the Iroquois retained rights to cross the newly established borders between Canada and the United States in order to maintain their trade and tribal ties. In 1806, Catholic Cayuga, Oneida and Onondaga from Ogdensburg, New York joined the St. Regis band. The Battle of the Cedars (French: Les Cèdres) was a series of military confrontations, early in the American Revolutionary War, which involved limited combat. The actions took place between May 19 and 27, 1776, at and around Les Cèdres, Quebec (located 28 miles/45 km west of Montreal), in the later stages of the American colonial invasion of Quebec that began in September 1775. No casualties occurred. Claude de Lorimier, a British Indian agent from Montreal, traveled west to Oswegatchie (Ogdensburg, New York), where there was a fort garrisoned by a company of the 8th Regiment of Foot under the command of British Captain George Forster. De Lorimier proposed recruiting some Indians to launch an attack on Montreal, then held by the American Continental Army, from the west. When Forster agreed, Lorimier went to Akwesasne, where he recruited 100 warriors for battle. The British-allied forces took some American prisoners during the encounters, but these were later freed. In the early 1800s, non-indigenous settlers leased a part of the Akwesnasne reserve located in mainland Quebec, known as Dundee. In 1888, the superintendent of Indian Affairs requested that the band surrender this land. A surrender was given, but the first nation always contested its validity, as it was not their intention to surrender the land. In December 2018, the First Nation of Akwesnasne accepted a specific claim settlement of $240M for the Dundee parcel, 37 years after the claim was first filed with the government of Canada. Kana:takon School, originally called the Saint Regis Village School, was run by the Catholic Sisters of Saint Anne until the 1970s. Today, the mission is still active and includes a rectory, the large stone church dating to 1795, and a cemetery. Parish records show that the Jesuits respected Mohawk traditions, recording their Mohawk names through the 18th and 19th centuries, even after they had also taken European names. The Roman Catholic parish at Akwesasne falls under three dioceses because of international borders and provincial boundaries: the Diocese of Alexandria-Cornwall and the Diocese of Valleyfield in Canada, and the Diocese of Ogdensburg in New York. Following passage of the Indian Reorganization Act of 1934, the United States federal government encouraged the tribe to adopt a constitution and elected government. The Mohawk chose to retain their traditional system of chiefs. In the 1940s Ernest Benedict founded Akwesasne's first newspaper, Kawehras! ("It Thunders!"). Benedict covered the resistance of many Mohawk to the system of elections imposed by the federal government on the "American" side of Akwesasne; it insisted on representative elections. On May 24, 1948, a vote was held in which "The Six Nations Chiefs," based on historic clans and hereditary office; received 83 votes, as opposed to "The Elected Chiefs", who received 1; and "The Seven Nations Chiefs," who did not receive any votes. The elected chiefs resigned from office, but the federal government continued to require the tribe to hold elections. Both the federal government and New York State encouraged the tribe to adopt representative elected government, but they resisted. They were put on the congressional list for termination in the 1950s, as part of a policy assuming that assimilation was best for Native Americans, but Congress did not approve the termination of the St. Regis Reservation. In 1969 Benedict founded the North American Indian Travelling College (now known as the Native North American Travelling College), which serves as a cultural centre, publishing house, and resource for classes and lectures at Akwesasne and beyond. It operates an art gallery and theatre at Akwesasne. In the late 1960s, a period of heightened Native American activism, Benedict also started Akwesasne Notes, which was highly influential and became the largest native newspaper in the world. Among its noted features were a series of posters included as centrefolds. A supporter gave the newspaper Edward Curtis photographs, which editors combined with quotes from Native American authors for the popular poster series. In 1987, the Akwesasne Task Force on the Environment was founded in response to environmental concerns, including PCB contamination from industries located along the St. Lawrence River. In the 1990s, the people of Akwesasne raised money in a variety of ways to fund a renovation of their St. Regis Church. They wrote a history of the church and its priests. To the southeast Akwesasne borders the towns of Fort Covington, New York and Bombay, New York. Sections of the southeastern portion of Akwesasne are considered by the Town of Bombay to be within the town's jurisdiction but the tribe disputes this. To the west is the Town of Massena, New York. Many islands in the St. Lawrence River are part of Akwesasne. Generally the Akwesasro:non are majority English-speaking in daily use. Akwesasne is governed by three bodies: the Mohawk Nation Council of Chiefs (traditional government), the elected Mohawk Council of Akwesasne in the North, and Saint Regis Mohawk Tribe in the South. The latter are the two recognized by the governments of Canada and the United States, as well as by lower-level jurisdictions. The Mohawk Nation Council of Chiefs (MNCC, colloquially "the Longhouse") is the traditional governing and religious body of the Mohawk (Kahniakehaka) people. The MNCC operates as a member nation of the Iroquois Confederacy or Haudenosaunee. 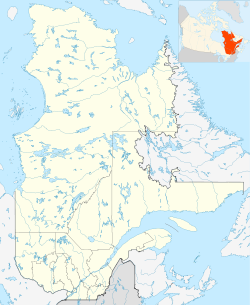 The Mohawk Council of Akwesasne (MCA) is a government whose representatives are elected within the northern districts of the territory claimed by Canada. The MCA was developed from the Indian Bands system introduced by the Indian Act of Canada and the Act's historical and legal predecessors. They are known to Canada as Mohawks of Akwesasne Bands 59 and 15. The MCA operates as a non-partisan, representative democracy, divided into three geographic and administrative districts. The districts are Kana:takon (Saint Regis, Quebec), Kawehno:ke (Cornwall Island, Ontario) and Tsi:Snaihne (Snye, Quebec). The several islands of the St. Lawrence River within the jurisdiction of the Mohawk Council of Akwesasne are generally counted as being a part of the nearest mainland. General elections are held tri-annually, with 12 representatives (Chiefs) chosen from the districts and one Grand Chief. Each district elects four Chiefs, and all districts vote to elect a Grand Chief; making a council of 12 plus 1. A by-election may also be held if one or more of the seats become vacant. The St. Regis Mohawk Tribe (SRMT) is a government elected by residents of the St. Regis Mohawk Reservation, a southern district of the territory within the border of the United States. The SRMT operates as a Constitutional republic. The Tribal Council is composed of three Chiefs, three Sub-Chiefs, and a Tribal Clerk. Elections are held each year on the first Saturday of June to choose one Chief and one Sub-Chief for a three-year term. The Tribal Clerk is chosen every third year. In 1960 First Nations people were enfranchised in Canada. In 1985 Status Indians who voted in a Canadian election were allowed to retain their status. Previously they would have become non-Status, as per the Indian Act. It is uncertain how many Akwesasronon participate in Canadian elections. In 1924 Native Americans were enfranchised in the United States if they had not been previously; by that time, two-thirds were already citizens. During the era of Indian Removal of the 1830s, Native Americans who chose to stay in historic territories became state and federal citizens; those who moved with their tribes to Indian Territory were not considered citizens. As Native American lands were purchased during the nineteenth century and Native land claims were extinguished, more were classified as US citizens as they moved to reservations. In 2016 an independent indigenous legal system and court was introduced to deal with non-criminal offenses within Akwesasne. The 32 new laws cover civil matters handled by an indigenous legal team director of public prosecution, public prosecutor and two justices. The system does not use jail terms but uses restorative justice to bring resolution between the accused and plaintiff. The members of the legal team are not required to have a law degree but are required to complete training and are approved by a review commission. Akwesasne Freedom School - Pre-K to grade 8, featuring Kanien'kehá immersion to strengthen language and culture on the reserve. With children learning Kanien'kehá, many parents and other adults are now taking language classes, too. The Akwesasne model of language and cultural revival is being followed by other communities. Generally, Akwesasnro:non travel off the reservation for secondary education. Post-secondary education is offered on the reservation through Iohahiio Adult Education and State University of New York (SUNY) extension programs with the SRMT. 97.3 CKON-FM is the community radio station. It first went on air on September 29, 1984. CKON is owned and operated by the Akwesasne Communication Society, a community-based non-profit group. It has a country music format, and also has adult contemporary music during evenings, a free format on Fridays, and oldies on Sundays. CKON also broadcasts coverage of home and away games of the Cornwall Colts and Akwesasne Wolves hockey teams and of the Akwesasne Lightning lacrosse team. In the winter of 1969, Cornwall City Police were confronted by a demonstration by Akwesasro:non at the North Channel Bridge of what is now called the Three Nations Crossing. By blocking traffic on the bridge, Akwesasro:non sought to call attention to their grievance that they were prohibited by Canadian authorities from duty-free passage of personal purchases across the border, a right they claimed was established by the 1795 Jay Treaty. Future Grand Chief Mike Kanentakeron Mitchell, then a part of the National Film Board of Canada's pioneering "Indian Film Crew" unit, directed an NFB documentary about the protest, entitled You Are on Indian Land. The NYC Ya Basta Collective was a group of anti-globalization activists, based primarily in New York City, active from roughly October 2000 through October 2001. Initiated in October 2000 by L. Fantoni and T. F. G. Casper on the heels of the anti-International Monetary Fund/World Bank protests in Prague, a collective soon formed and developed its own variation of the Tute Bianche tactic of the padded bloc. The collective organized several actions and events highlighting the inadequacy of borders, in support of immigrant rights and against racism and racialist hate groups. In April 2001, this collective, along with the Direct Action Network, was active in organizing a US / Canada border crossing over the Three Nations Crossing. This event preceded demonstrations surrounding the 3rd Summit of the Americas, a summit held in Quebec City, Quebec, Canada. An estimated 500 anti-globalists, along with a few Akwesasro:non, challenged the legitimacy of the US/Canada border. Although the Collective peacefully crossed into Cornwall, Ontario, Canada, they never made it to Quebec City. Most of the activists who participated in the action at the border and attempted to enter Canadian territory were turned away by Canada Border Service agents and prevented from attending the protests in Quebec City. On 1 June 2009, Canada Border Services Agency (CBSA) border services officers at the Cornwall Port of Entry walked off the job in response to encampments of Akwesasro:non across the road from the customs facility. The latter were protesting Canada's arming of CBSA border services officers. The encampment, styled as a "unity rally", was branded as a campaign to bring awareness to complaints of alleged human rights abuses committed against Akwesasro:non by the CBSA border services officers. The protest continued for several days but reached its peak at midnight of 1 June, when the new policy of arming border services officers with Beretta Px4 Storm sidearms went into effect. The border services officers left at the end of their shift. A new shift did not arrive, leaving the port of entry vacant. Cornwall City Police blockaded the north terminus of the Three Nations Bridge to deny travelers entry into Canada. At the request of Canada, the New York State Police likewise blocked access from the United States onto the bridge. 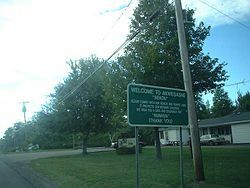 Akwesasne was cut off from its major access point into Canada and from free travel within the territory until a temporary border post was erected on July 13, 2009. Police, border patrol, state troopers, RCMP, and various government agents blocked the road leading to the homes on Cornwall Island, Ontario, from May 2009 until July 2009. Each time any Mohawk attempted to leave their homes or return to their homes in Akwesasne, they were interrogated by government agents. Some Mohawk moved out of their homes because of the stress of this situation. Other residents were ordered to pay costs of $1000 each time CBSA agents chose to impound their vehicles, sometimes more than once per day when residents needed to use their vehicles for several trips. Some residents traveled instead by boat to seek medical attention, or purchase water, and groceries. The area has been the scene of several disputes on the rights of the residents to cross the border unimpeded. These issues have been a concern for Canadian authorities, as the area is alleged to be a large-scale, cigarette-smuggling route from the U.S. There have been arrests and seizure of goods in the past. There are also concerns about smuggling of drugs, liquor, and migrants. In addition, residents of Akwesasne have been divided over governance and which political factions they support. Political rivalries were expressed as one group brought gambling onto the reserve, bringing huge returns to casino owners. In 1989 unidentified suspects threw firebombs at a chartered bus. In a separate incident, someone used a shotgun to fire at a bus in the customs area. The political feuds have led to violence: two Mohawk men were killed at Akwesasne in 1990, and thousands of residents left their homes in that period because of attacks on houses and vehicles, and general unrest. The Warrior Society, a self-appointed security force, used assault rifles and bats to break up anti-gambling roadblocks at the reservation entrances. They threatened to shoot any outside law enforcement officials if they entered the reservation. Frozen River is a 2008 American drama film written and directed by Courtney Hunt. Set in the North Country of Upstate New York, near Akwesasne and the Canada–US border, it dealt with an alliance between a Mohawk woman and a white single mother who both struggle to survive economically. Frozen River was nominated for two Academy Awards: Best Actress (Melissa Leo) and Best Original Screenplay (Courtney Hunt). Misty Upham was nominated for an Independent Spirit Award for Best Supporting Female. KANIEN'KEHÁ:KA: Living The Language (2008) is a two-part documentary about the work of the Akwesasne Freedom School and the community in teaching and preserving the Mohawk language. It was produced by Mushkeg Productions Inc. in association with APTN (Aboriginal Peoples Television Network). Skydancer (2011) by Katja Esson is a full-length documentary about life in Akwesasne and the careers of some of its men in ironworking. The Mohawk of Akwesasne were among high-steel workers who built skyscrapers and bridges in New York in the early 20th century. The USA/German production was aired on PBS in its "America Reframed" series, October 2012. The Canadian broadcast premiere was on APTN, part of its "Reel Insights", October 2012. ^ a b Statistics Canada. 2007. Akwesasne (Part) 59, Ontario (Code3501007) (table). 2006 Community Profiles. 2006 Census. Statistics Canada Catalogue no. 92-591-XWE. Ottawa. Released March 13, 2007. http://www12.statcan.ca/census-recensement/2006/dp-pd/prof/92-591/index.cfm?Lang=E (accessed April 12, 2012). ^ a b Statistics Canada. 2007. Akwesasne, Quebec (Code2469802) (table). 2006 Community Profiles. 2006 Census. Statistics Canada Catalogue no. 92-591-XWE. Ottawa. Released March 13, 2007. http://www12.statcan.ca/census-recensement/2006/dp-pd/prof/92-591/index.cfm?Lang=E (accessed April 12, 2012). ^ "Northeast Captivity Stories—"Captivity of Sarah Tarbell"". Archived from the original on 2010-09-19. Retrieved 2010-03-26. ^ Deer, Jessica (2018-12-11). "Akwesasne votes Yes to accepting $240M Dundee land claim settlement | CBC News". CBC. Retrieved 2019-03-05. ^ "Akwesasne Task Force on the Environment (AFTE)". Yale Forum on Religion and Ecology. Retrieved 2018-04-29. ^ Henderson, William B. (2009). "Indian Act". The Canadian Encyclopedia. Historica Foundation of Canada. Retrieved 2009-06-08. ^ a b "'It's a historical moment:' First indigenous court created in Canada". Toronto Star. ^ You Are on Indian Land, National Film Board of Canada. Curator's comments. Retrieved 02 December 2009. ^ Honarpisheh, Farbod. "You Are On Indian Land". In Jerry White (ed.). The Cinema of Canada. London: Wallflower Press. pp. 81–89. ISBN 1-904764-60-6. ^ KANIEN'KEHÁ:KA: Living The Language, directed by Paul Rickard. Wikimedia Commons has media related to Akwesasne. Akwesasne Notes (1969-1987) newspaper from the American Indian Digital History Project. This page was last edited on 22 April 2019, at 09:06 (UTC).